It’s always challenging to know what to do in a difficult time. Yet thankfully, sympathy flowers continue to be a widely-accepted and beautiful gesture to nearly every family in any culture. From their beauty and color, to their calming scents, funeral flowers can add grace to a moment of mourning, and sympathy to a time of sadness. At Elegant Events Florist, we’ve taken the time to carefully hand-design each and every one of our sympathy, funeral and “Get Well” flowers. Throughout the years, our expert florists have learned how flowers can serve as messengers of hope, and they value being able to provide that comforting reminder to friends and family throughout a grieving process. 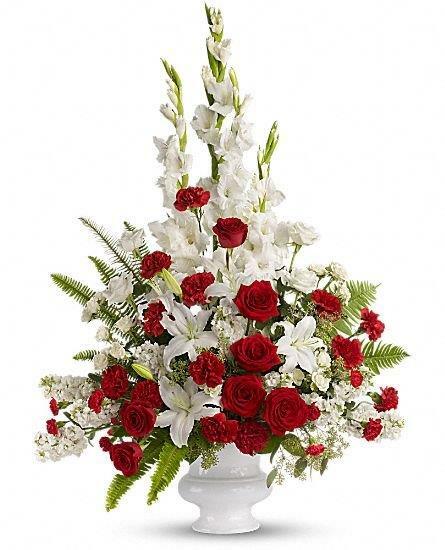 Our classic arrangements vary in size, shape and flower type. 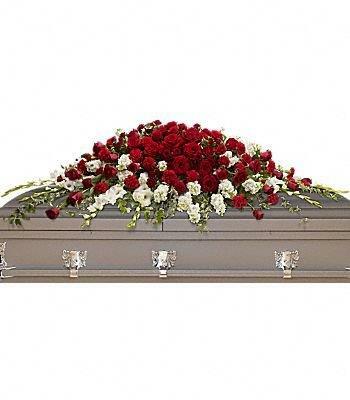 We offer floral crosses, angled standing and casket sprays, as well as a number of lovely floor baskets. If you are looking for a particular type of orchid, rose, lily or other flower, our florists will also happily work to accommodate your requests to the best of their ability. What’s remarkable about flowers is their ability to transcend language. When someone receives a bouquet, they not only know you’ve been thinking of them, but they receive a message of condolence that hits deeper than words. During times of sorrow, it’s also important to band together. That’s why Elegant Events Florist has chosen to offer free delivery to the following locations: Fox Chase Cancer Center, Jeanes Hospital, Moss Rehab Center, Elkins Park Campus, Foley Funeral Home, Richardsons Funeral Home, Geitner-Givnish Funeral Home (Oxford Avenue), Wakerman Funeral Home, and Wetzel Funeral Home (Rising Sun). For any additional questions, please feel free to reach out to Elegant Events Florist directly. We can be reached over the phone at 215-728-1381 or via email.